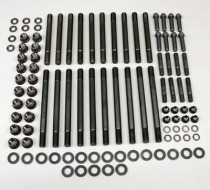 This Trick Flow® cylinder head stud kit is precision centerless-ground and thread-rolled to Mil-S-8879 specs. It features a black oxide finish that protects the kit from wear and corrosion. The Trick Flow® cylinder head stud kit includes hardened parallel washers for uniform load distribution and accurate torque readings. For A460 heads. 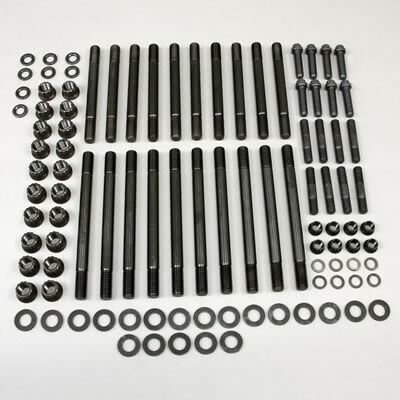 All bolts, studs, nuts, and washers for 18 bolt heads included.